A band of CIA operatives have to travel 22 miles through Southeast Asia. They must transport a foreign intelligence asset for extraction. Along the way, terrorists and street hoodlums are out to kill the chipper operatives and reclaim said asset. That's the blueprint of Mile 22, a mini Black Hawk Down that feels like one long, slack 95-minute action sequence (that happens to be "22's" subsequent running time). In truth, "22" is so hyper-kinetic and so all over the place, it comes off as the movie equivalent of a 10-year-old boy who forgot to take his Ritalin. Non-sympathetic, vacant, and morbidly violent are other words I would use to describe Mile 22. So yeah, "22" on paper seems like the perfect vehicle for its star, Mark Wahlberg. In true obligatory fashion, Marky Mark spits out insulting and hard-hearted dialogue like a hyena on angel dust. Saddled with a clunky script by rookie Lea Carpenter, Wahlberg does have some lines that relegate a sort of badass detection. However, most of what he says feels like gargled, espionage gibberish. And oh yeah, don't get me started on his character constantly snapping a rubbing band around his wrist. That's just one of the quirks that makes Mark's James Silva so quote unquote, "mentally unstable". Anyway, Mile 22 has plenty of nasty fistfights, "Hand of God" explosions, sundry fast cuts, hi-tech sutures, and deafening shootouts (if you can see what's visibly going on). They keep the flick from being anything but boring and void of energy. Also, I sort of dug "22's" gotcha ending which is kinda reminiscent of The Usual Suspects and 2003's Basic. 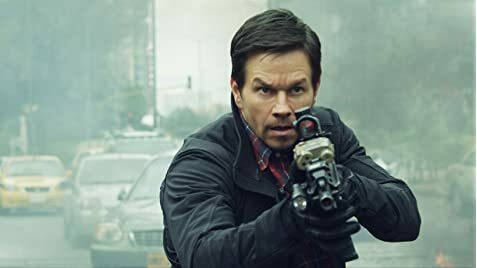 Still, Mile 22 projects like a rushed and swiftly pasted effort from its otherwise calculated and nuanced director, Peter Berg. 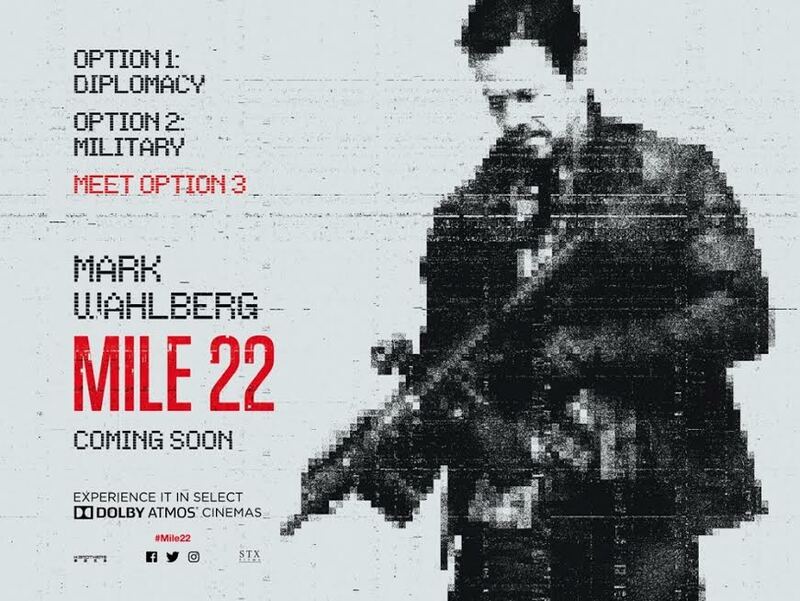 Bottom line: Berg and Wahlberg make Mile 22 a grandstanding and strutting affair. Nonetheless, they got much better "mileage" when they tackled the subject of the Boston Marathon bombing via Patriot's Day (from a couple of years ago). 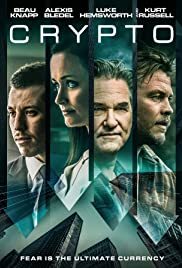 Knowing that Peter Berg will bounce back with more heroic, true story fodder in the near future, I'm gonna go with a two and a half star rating here.